Also joining us for the night will be: Charlotte Black, Andrea Samborski and our very own Paul Gilbody standing in for a poorly Hannah O’Reilly. Where: The Jazz Bar, Chambers St.
AE is back on our new bi-monthly schedule with a welcome return headline set from Gary Stewart. Gary did a short set for us last year promoting his brand new album “Mr. Gary Stewart and the Tin Foil Collective” and we’re delighted to get him back for a full headline set. Now based in Leeds, the Perthshire boy caught the attention and imagination of traditional and modern music lovers up and down the U.K with the release of his Debut Album, “Boy Cries Wolf” (featuring performances from Ellen Smith (Ellen and the Escapades) and Rosie Doonan (Radio 2 Folk Award nominee/Rosie Doonan + Ben Murray/Peter Gabriel). The album picked up support from R2 and Maverick as well as radio 2’s Steve Lamacq. The Scottish songsmith is influenced by the singer/songwriters of the ’60s including James Taylor, Carole King, Neil Young, Joni Mitchell and most predominantly, Paul Simon. Stewart also cites Scottish Nu-Folkies as an influence, including King Creosote, James Yorkston, Admiral Fallow and Rachel Sermanni to name a few. Support sets come from Georgia Gordon, John Redford and Keith Paton (Hoochie Fig). Why: Because you love and support original live music! It’s the last Acoustic Edinburgh of 2013, and we’ve got a very special headline set indeed for you all! Randolph’s Leap are one of Scotland’s best loved new bands, with a songwriter in Adam Ross whose turn of phrase is sharp, witty and poignant all at the same time. They bring together the pop sensibility of Belle and Sebastian, the cleverness of Ballboy, and a lightness of humour that is all their own. Recent signings to the Lost Map record label, it’s no surprise that their rise to fame appears to be meteoric, with recent headline sets at the Queen’s Hall, festivals throughout the summer, and two brilliant sessions with Marc Riley. We can hardly believe our luck that Adam was available to give us an intimate solo set at Acoustic Edinburgh this month. Don’t miss out on this chance to catch them before they are way too big for our wee venue! Joining us this month for a support slot will be the wonderful Lake Montgomery, and two others TBC. 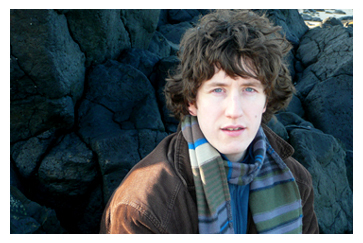 Those of you who were at our Dec 2010 event will remember a stunning collaborative headline set from renowned artists Nuala Kennedy and AJ Roach with Found’s Ziggy Campbell. Since then AJ and Nuala have solidified their collaboration in a project called simply: AJ and Nuala and they return as our November headliners. Come find out why the critics have been falling over each other to heap praise on these guys! Nuala Kennedy was born and raised on the scenic shores of the east coast of Ireland. A. J. Roach was born and raised over 4,000 miles away in the rugged Appalachian mountains of Southwestern Virginia. The two met in the autumn of 2009 at a songwriting retreat in the bucolic hills of southwest Scotland. They soon realized that while they had grown up on opposite sides of an ocean, the musical traditions that each were steeped in and that both had chosen to carry on, were not nearly so distant from one another. Many of the Ulster ballads and tunes made their way across that same ocean, and like the people that brought them, these songs found new life in the mountains and hollows of Appalachia. While much of A. J. and Nuala’s repertoire is made up of original compositions, this Ulster-Appalachian connection is at the heart of the music that they make together. Nuala is a musician of the highest order, and is well known throughout her native Ireland and her adopted home of Scotland for her exquisite, inventive and eclectic compositions. 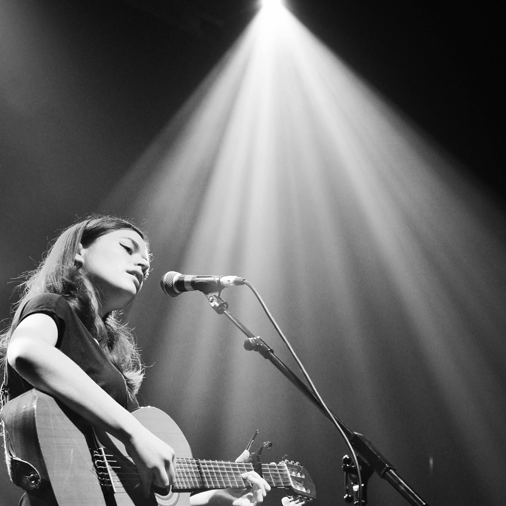 She’s been called “SPELLBINDING” by the IRISH TIMES and “BREATHTAKING” by the GLASGOW HERALD. A. J. is a songwriter’s songwriter known for the attention to detail in his poetic lyrics, and for his powerful and distinctive singing voice. He’s been called “A TRUE POET” by TOM T. HALL and a “MASTER OF SO-CALLED PRIMITIVE MUSIC” by the GLASGOW HERALD. It’s almost the first Thursday of the month again and time to welcome in the Autumn with your monthly dose of stunning original acoustic music. 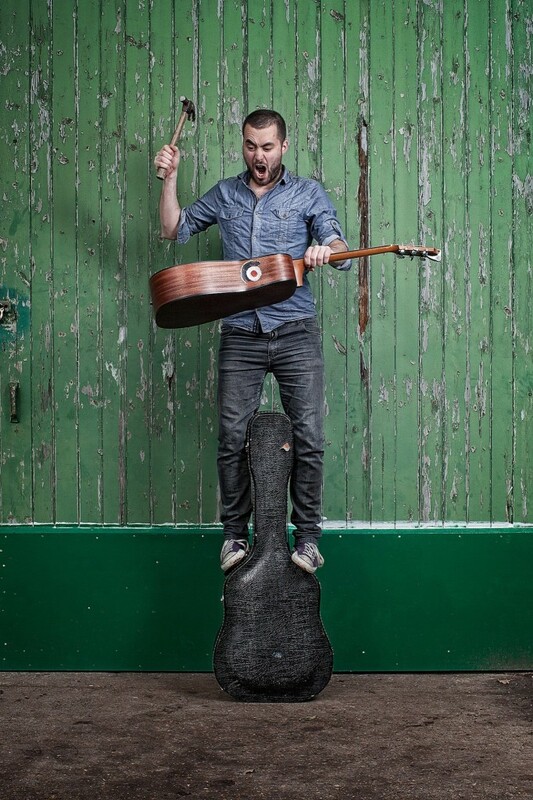 This month we’re delighted to feature Jake Morley who’s currently touring his debut album “Many Fish to Fry”. He’s a really exciting performer so check out the videos in his website! Our headline is Siobhan Wilson, fresh from playing (twice!) at the Doune the Rabbit Hole Festival last weekend and touring with Willy Mason. Imagine a mix between Regina Spektor, Joni Mitchell and Madeleine Peyroux to get a sense of the treat for your ears you can expect! 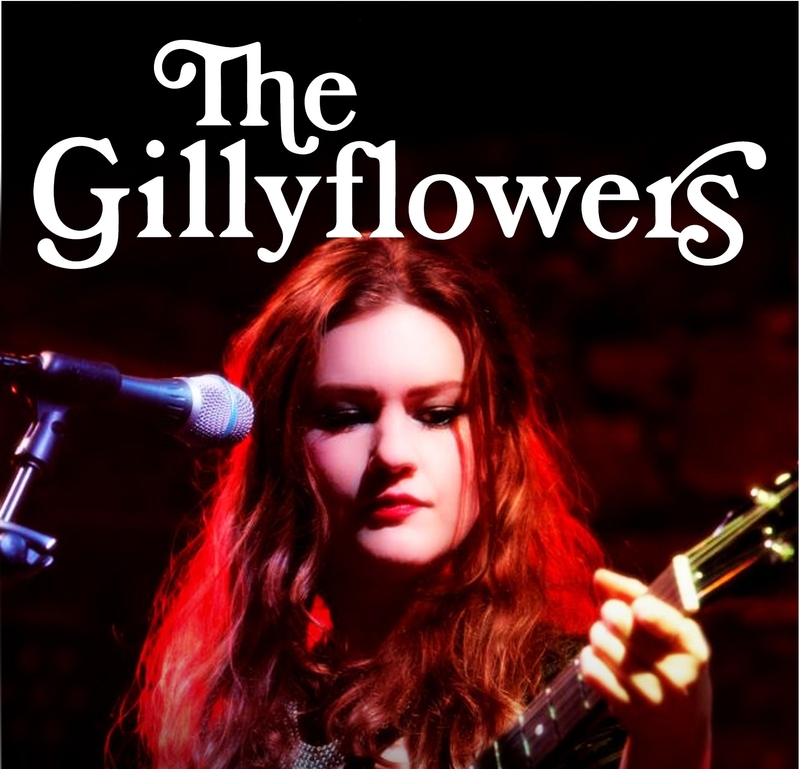 Joining Siobhan will be three surprisingly magnificent support acts, all of whom would be headliners at a lesser night: Gary Stewart, The Jones Brothers (feat. Acoustic Edinburgh favourite Graeme Mearns), and Tucker & the Scattered Family. Why: Because you love great music! Before the Edinburgh Fringe mayhem begins we are proud to bring you our August lineup for Thursday 1st August! Headline set from Kirsten Adamson’s all-star band The Gillyflowers. Summer appears to be here and we’re delighted to announce a welcome return to AE for Chris Bradley as our July headliner! A busy local musician, BAFTA award winning composer and genuinely outstanding songsmith, Chris has headlined for us a few times in the and is long overdue a return. He’ll be playing material from his hotly anticipated 3rd studio album. 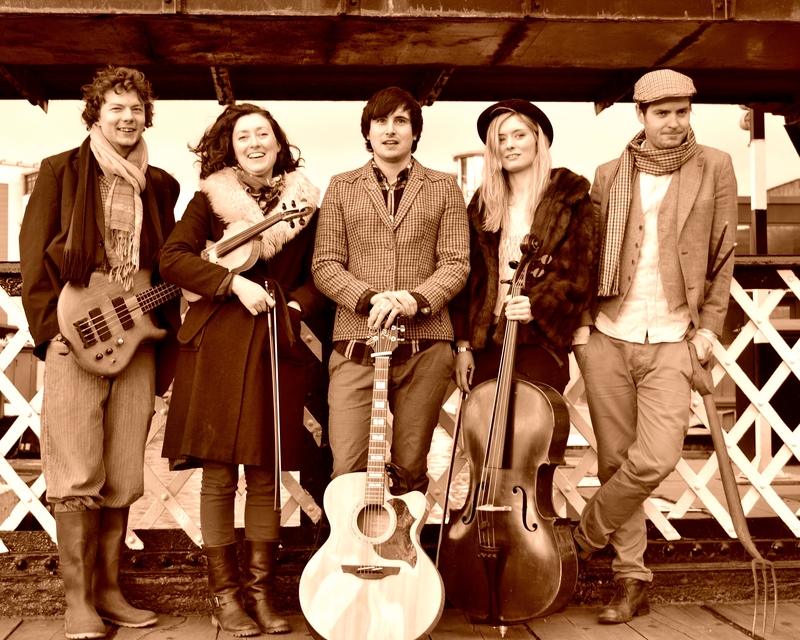 Our headline for this month, Matt Norris & the Moon, has been described as “the best live band in Scotland” by Jim Gellatly, and have won a wide fanbase with their engaging and graceful brand of modern folk, complete with big harmonies and ear-catching hooks. Having graced some pretty substantial stages, in support of the likes of Primal Scream and Villagers, we’re in for a treat to see them down in the cosy atmosphere of the Jazz Bar. Expect mandolins, trumpets, fiddles, flutes, accordions in addition to the usual guitar and vocals. Joining them this month will be David Porteous, Caroline England and Jason Stein.